Our detail team is dedicated to ensuring your vehicle leaves with an immaculate shine. During your VIP service appointment, our team will do an exterior wash and an interior clean on your vehicle. If you are not a VIP guest, your vehicle will be given an exterior wash. 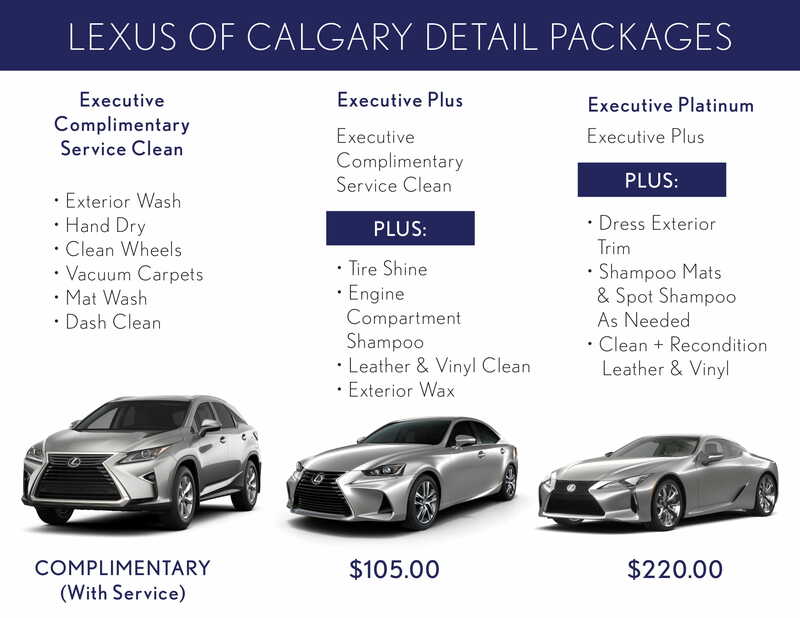 When your vehicle is with us for an express appointment, it will receive an express interior and exterior clean. For more information about detail services please click here. Please note, if the temperature is below -10 °C, we are unable to complete exterior washes due to safety concerns. Includes the cleaning and treatment of all vinyl and leather surfaces, carpets, mats, consoles, dash, doors, windows, with an exterior wash. This services requires the vehicle overnight. First 2 for $30 and $10/chip for each additional. Windshield chip repair is complimentary with service at guest’s request.